What your boat insurance costs will be is the most important question that is likely to cross your mind, once you decide to buy an insurance policy for your boat. This will vary greatly depending on the boat itself, and what you’re needing coverage on. Here are a few factors to help you get a better idea of cost. First and foremost, you have to decide, whether you want a 100% coverage for your boat or a partial coverage. The premiums for 100% coverage will be naturally higher than partial coverage. While it may be tempting to go with the lower premiums, keep in mind that if something happens to your boat you will have to come up with 100% of the cost of anything not covered. A newer boat will typically have higher premiums than an older one. A newer boat is likely to have more expensive equipment and a higher overall value. If something were to happen, the insurance company would need to pay out a higher amount for a newer boat. If you have a history of no accidents, then your premium rates will be lower, whereas having accidents or other claims can increase the rates pretty drastically. A new sailor with little to no experience will have to pay more in premiums as compared to an experienced sailor. The insurance will cost more if your boat sails in the coastal waters and less if your boat sails in inland lakes and rivers. This is due to the fact that a boat sailing in coastal waters is exposed to higher risk of hurricanes and other naturally occurring storms. Where your boat is stored can also affect the insurance costs. If your boat is docked in a secure area then the risks of theft and vandalism are much lower. You can expect to see this affecting your premiums as well. 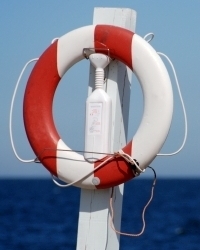 If you have taken any training on boating safety, you will likely receive a discount on your policy premiums. The course should be approved by the National Association of State Boating Law Administrators (NASBLA). If you agree on a higher deductible, you will pay lower premiums and vice versa. Keep in mind the higher the deductible, the more money you will have to shell out of pocket anytime a claim is filed. Be realistic with this and don’t opt for a deductible that you couldn’t afford if you needed to. Boat insurance is significantly different from other insurances like car or home insurance. The risk involved with a boat is greater as compared to a car or home. This is the reason that you will come across different insurance rates from different companies. While the cost of insurance remains one of the deciding factors, you should give more importance to the coverage offered by the insurance companies. Before you zero in on a company, enquire about the types of losses covered, how much do you get in case a loss occurs, and so on. You should also check about the procedures followed by the insurance companies in the event of a loss. Knowing these things before you actually need them can save a huge headache and hassle down the road.